If you've been following me a while you know that I LOVE Land Art. We've done quite a few Land Art Posts that you can check out here or at the end of this post. Winter introduces a whole new medium: SNOW! It adds a crisp white background to everything. 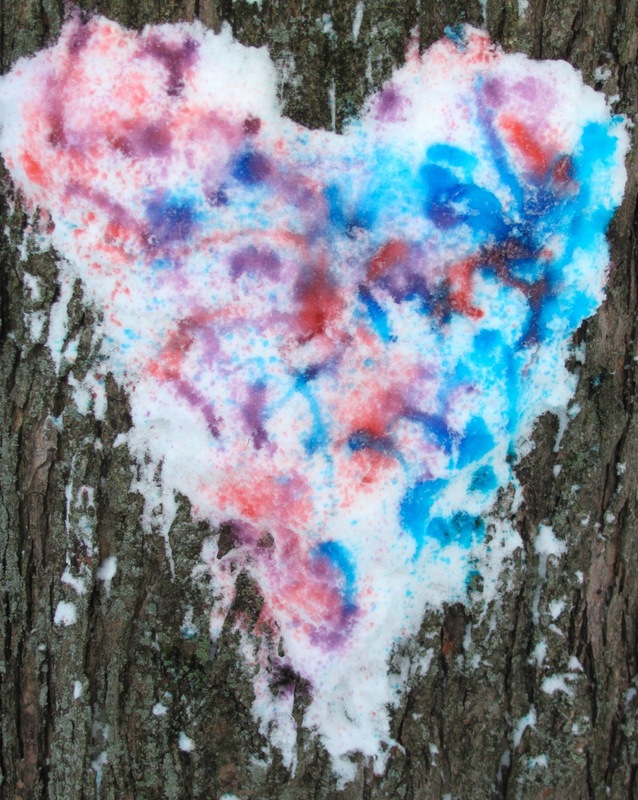 We made Snowy (Land Art) Hearts since Valentine's Day is on our mind! Check them out and let me know what you think! A great book to go with our Snowy Hearts is Snow Valentines by Karen Gray Ruelle. 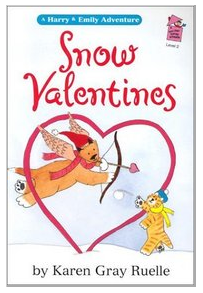 The brother and sister cat in this book create Snowy Valentines because they want to be unique! This is such a sweet Valentine book! I'm sure we will be doing more Snowy Land Art this Winter! I love this! They are all so, so beautiful! Thanks Terri! Glad I've inspired you to create some snowy hearts! They are definitely fun! Brilliant! You are having a lot of artsy fun in the snow! Thanks! We will be doing more snowy art for sure! It is addicting! Love the evergreen and berry hearts! I want to go make some!!! Thanks Ann! The red berries definitely add a punch to the hearts! Hope you share your hearts if you make some! 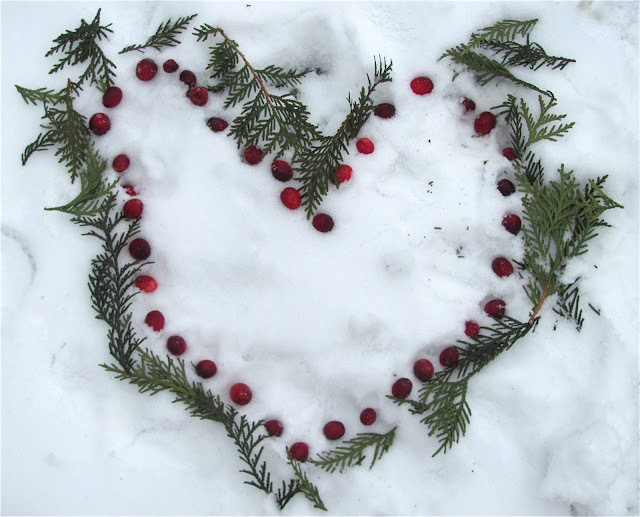 Beautiful - I love the evergreen hearts, they'd make a wonderful image on a Christmas card. No snow for us, but I too love land art, so must get out there and make some more! Beautiful !! The red berries look great on the snowy white background:)) Love it. It cool creativity,the spray with two shades made a it attractive.